New York is a pizza town. Everyone knows that the city is home to some of the best pizza in the world. It's one of the city's iconic foods. Some would argue that New York is the number one city in the world for pizza, and I wouldn't disagree. It's no wonder, then, that year after year we see list upon list ranking the city's best pizza. Everyone wants to weigh in, and why shouldn't they? This is important business. Year after year, however, I'm consistently disappointed to see some of my favorites left off the list. To be sure, the critics aren't wrong -- in fact, I whole-heartedly agree with their selections for the best of the best: Roberta's, every hipster's favorite, is usually on there (as it should be), along with Joe's Pizza (again, no argument there. I think it's one of the best greasy slices in the city) and the ever popular Kesté. You'll likely also see Brooklyn stalwarts like Coney Island's Totonno's, Greenpoint's Paulie Gee's and Midwood's Difara, which have all earned cult-like followings. Lucali deserves every accolade it's ever received, as does Motorino. Some of the city's greats, however, seem to perpetually go under the radar. While I'm not denying the merits of the aforementioned pizzerias, I do think the following places are unfairly underrated and deserve more than a nod of recognition. And since, by nature, underrated restaurants are the ones we don't read about on the blogs and in the magazines all the time, I'm sure there are other supremely special spots that I'm missing here. If you know of any pies that are wildly underrated, please share in the comments (so we can rush there as soon as possible and see for ourselves!). Slightly below street level (as the literal translation of its name implies), Sottocasa is an unassuming Neapolitan pizza joint that packs a big punch. Chef Luca Arrigoni came from Kesté, and for two years now has been serving simple, delicious pies from his two-ton, brick, wood-burning oven, which is so big it had to be crane-lifted into the restaurant's back yard. With an entrance like that, the oven certainly had a lot to live up to, and I think it's more than delivered. Don Antonio by Starita is also connected to Kesté, but this time it's not a Kesté alumn who started the restaurant. 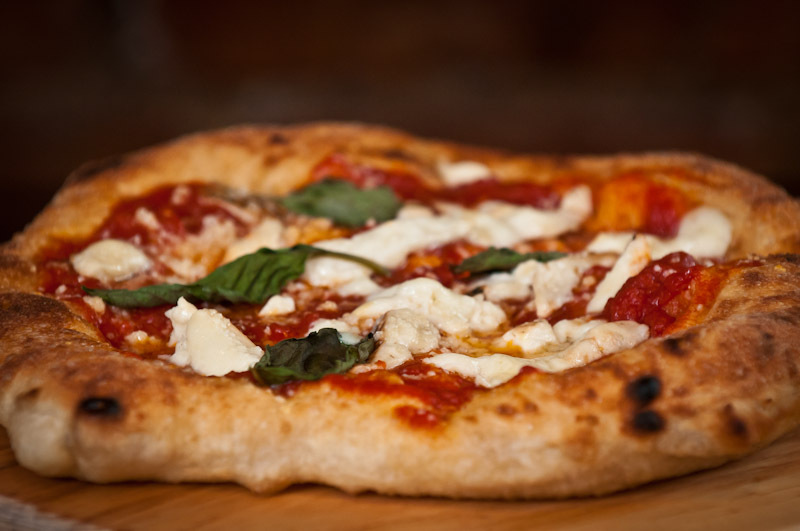 Kesté chef Roberto Caporuscio collaborated with his mentor, Antonio Starita, to open another classic, Neapolitan pizza place in February2012. 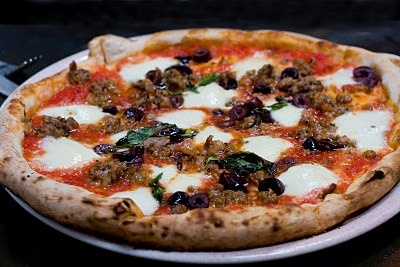 Without a doubt the best place for pizza in the neighborhood (Hell's Kitchen/Theater District), it's a hidden gem in an area somewhat overrun by tourists and chain restaurants. The menu features an extensive list of special pizzas, including the Sorrentina -- smoked buffalo mozzarella and sliced lemons: trust me, it's amazing -- Pistacchio e Salsiccia -- made with fresh pistachio pesto -- and gluten-free options. Until the tourists catch on, it's the best-kept secret of the neighborhood. A quintessentially bustling, casual Italian restaurant, Luzzo's is a reliable favorite that often gets forgotten in the hoopla of flashy openings and hyped eateries in its hood, the East Village. Open since 2007, it was early to the Neapolitan pizza craze that has since hit New York City hard, and, I think, today it's just as good as ever. The Tartufata, made with truffle pate, is one of my favorite pizzas in the city. Lucali BK is opening soon in Brooklyn Heights -- I'll be first in line to see if it lives up to my excessively high expectations! An elegantly rustic restaurant in Bed-Stuy, Brooklyn, Saraghina is an experience unto itself. The charming, vine-covered backyard and quaint interior set the stage for extraordinarily crafted pizzas with fluffy crusts and seasonal, high quality ingredients. The rest of the menu, offering beautiful salads, antipasti and pastas, is worth exploring, but their pizzas --mostly specials picked that day -- are the show-stoppers. 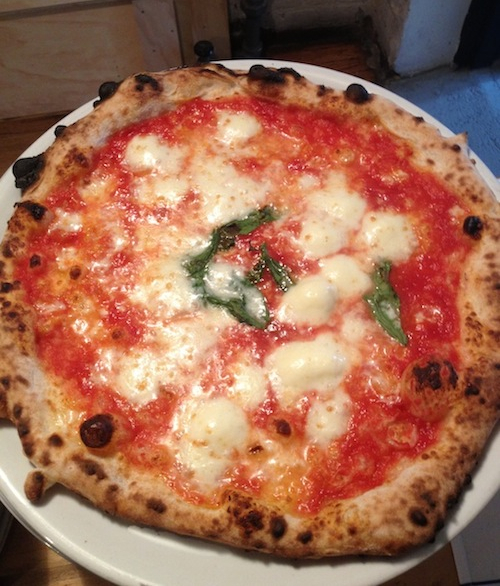 My favorite pizza right now hails from South Brooklyn Pizza in the East Village. A hefty $4 for a slice, it's not cheap (especially with dollar pizza down the block), but when you can order just a slice of a masterpiece like their New York Style Pizza -- San Marzano tomatoes, mozzarella, grana padano, fontina, basil and olive oil -- it's worth every penny. I can't defend the other locations, but I would visit the East Village spot for their thin, crunchy crust and perfect sauce every day if I could. While I feel like it never gets the recognition it deserves, it's apparently a go-to spot for Danny Bowien, which is good enough for me. 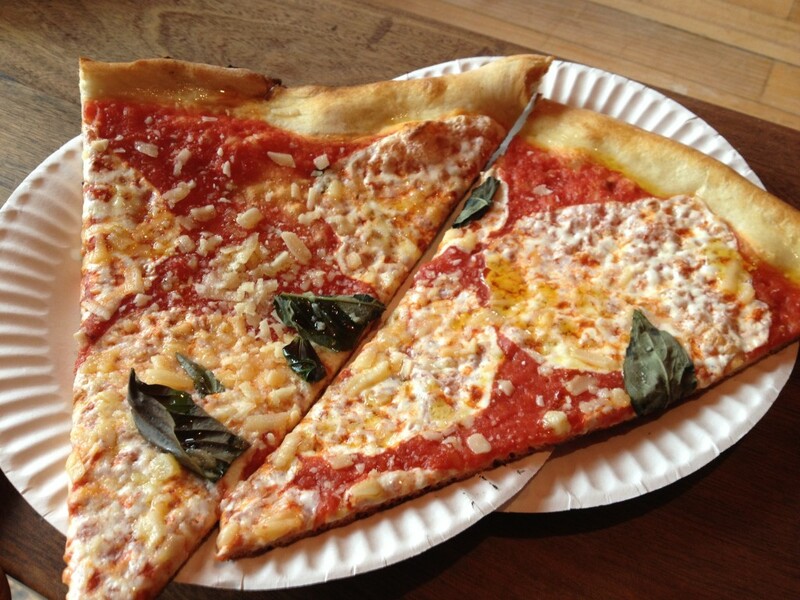 What New York pizza do you think is underrated?